Dale Jackson, age 86, went to be with the Lord on Friday, June 1, 2018 after a short period of declining health. She was born February 18, 1932 in Stratford, Texas to Jesse and Lena (Kirkwood) McWilliams. She grew in Stratford and was a graduate of Stratford High School. She attended Texas Women’s University where she studied nursing. After marriage she lived in Cheyenne, OK and moved to Mustang in 1961 where the family lived at Camp Kickapoo until 1995 when they moved into the town of Mustang. Dale served the SW area of OKC as a rural letter carrier for 27 years, retiring in 1996. 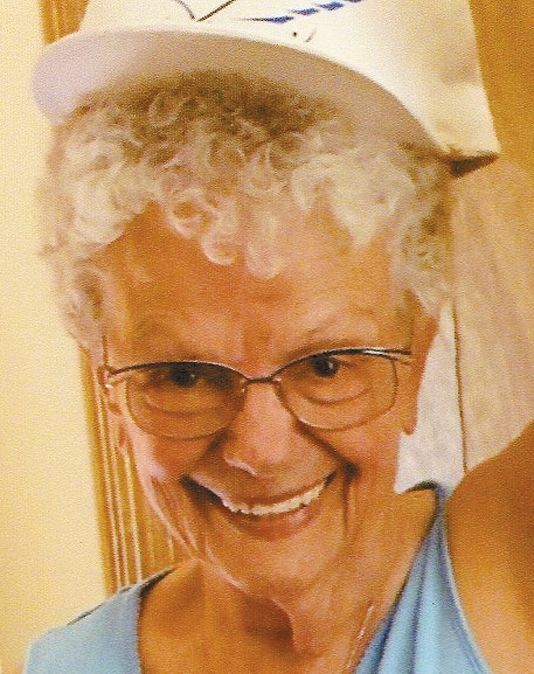 She was an active member of Mustang United Methodist Church and Mustang Senior Center. She was preceded in death by her parents, her husband Marshall, three brothers Boyd, Kirk, Donald and two sisters Marcile and Dorothy. Survivors include two sons James Allen Jackson and wife Dianna of Henryetta, Texas, Roger Dale Jackson and wife Susan of McLoud, Oklahoma, one daughter Marsha Karlene Jackson-Ferguson and husband Kenneth of Oklahoma City, eight grandchildren, 13 great grandchildren and one sister Billie Merle Booth of Tipp City, Ohio. In lieu of flowers, memorial donations may be made to the “Senior Supporters” 1501 N. Mustang Rd., Mustang OK 73064. Memorial Services will be held at 2pm on Thursday, June 7, 2018 at Mustang United Methodist Church, under the direction of McNeil’s Funeral Service, Mustang,Oklahoma.